Upon completing your studies, you will receive a Nationally Recognised Qualification issued by the Australian College of Specialist Make-up (ACSM). If you don’t successfully complete your course, you will receive a Statement of Attainment (record of units completed) issued by the Australian College of Specialist Make-up (ACSM). Please contact enquiries@acsm.edu.au for course structure and further information. Welcome to Australia, and Perth! 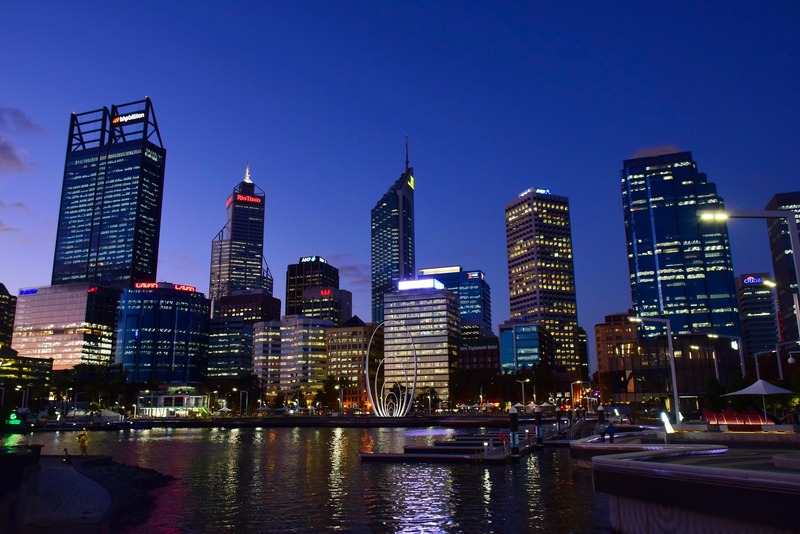 The city of Perth is the capital city of Western Australia, Australia’s largest state. Perth has a population of approximately 2m (2017). In Perth we enjoy a wonderful climate featuring low humidity, warm summers and cool winters. The people of Perth experience more sunny days than any other city in Australia, with the temperature averages ranging from around 18°C in winter and to 30°C in summer. Perth is one of the few places in Australia where soft sandy beaches and beautiful parks meet a busy hub of restaurants, theatres, street art and culture. The Australian College of Specialist Makeup is located a short 10 minute walk from Perth’s city centre and only a five minute walk from Perth Central Station. Students also enjoy that we have many cafes and restaurants within walking distance of our location. Our Perth campus boasts seven large and spacious classrooms, with views of the city skyline. All rooms are filled with as much natural sunlight as possible. We also have an equipped kitchenette for all students and staff to utilise, including fridge and microwave. There are two fully stocked vending machines for the students to use if they wish. In order to study the (CUA51015) Diploma of Screen & Media, a student must have a minimum IELTS score of 5.5 and be at least 18 years of age for enrolment. The CUA51015 Diploma of Screen and Media is taught in English. The college requires a high level of proficiency in written and oral English. The minimum English language proficiency is IELTS score of 5.5 and evidence of English language proficiency must be provided for entry into the course. The courses are run over two semesters (one year) on a full-time basis. In addition to 20 contact hours per week, a student will have a further 16 hours per week of self-guided home study. Overseas students should be aware that they must maintain satisfactory course progress during their studies. If the student does not maintain satisfactory course progress they will breach their visa conditions and ACSM, as a registered provider, will be required to report the breach to Department of Immigration and Multicultural Affairs (DIMA) via Provider Registration and International Students Management System (PRISMS). To view the current list of agents that the Australian College of Specialist Make-up partners with, please click here.